This one is on my mother's side, close to my maternal line. 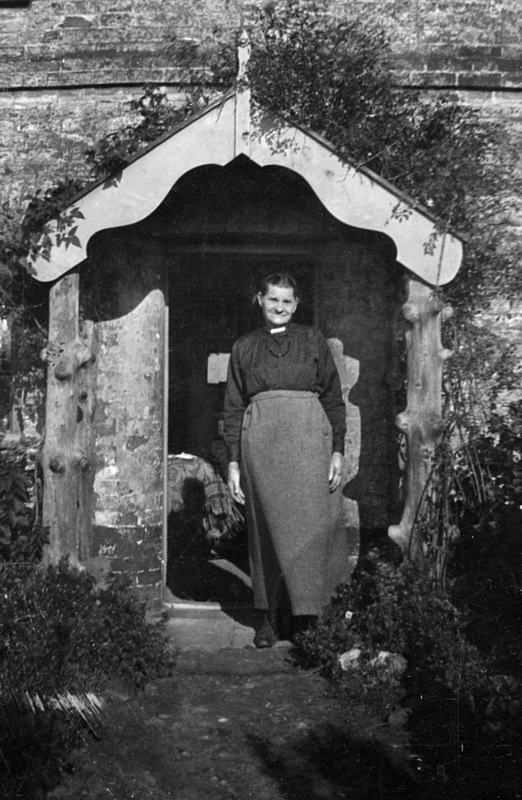 The ancestor below is my mother's, mother's, mother (my 2nd great grandmother), Sarah Thacker of Rackheath, born as Sarah Ann Elizabeth Daines, at Besthorpe, Norfolk, in 1849. Her parents were Reuben Daynes and his wife, born Sarah Quantrill. 3rd great grandfather Reuben had moved to Besthorpe from the nearby parish of Brandon Parva. The Quantrill family were a Wymondham family. Rueben Daynes (the junior) was the son of Rueben Daynes (the senior), my 4th great grandfather, and Sarah (nee Lake) of Brandon Parva. My 4th great grandfather Rueben had also been born at Brandon Parva, back in 1781. 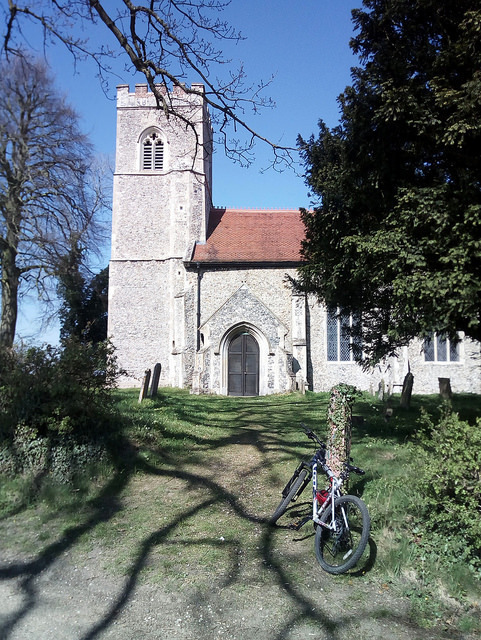 The church at Brandon Parva on a bike ride last summer. Rueben Daynes (senior) was the son of Abraham and Elizabeth Daynes of Brandon Parva, Norfolk. That far I had discovered. Now I have extended back on Elizabeth's ancestry. Quite clear, it states that she married Abraham Daynes of Brandon Parva. Samuel Blasey was baptised in Wymondham in 1700, the son of my 8th great grandfather, Charles Blasey. The paper trail runs out. I suspect that Charles Blasey / Blazey had also been born at Wymondham, around 1672, quite likely the son of a Robert Blazey. But I haven't found that documentary evidence. 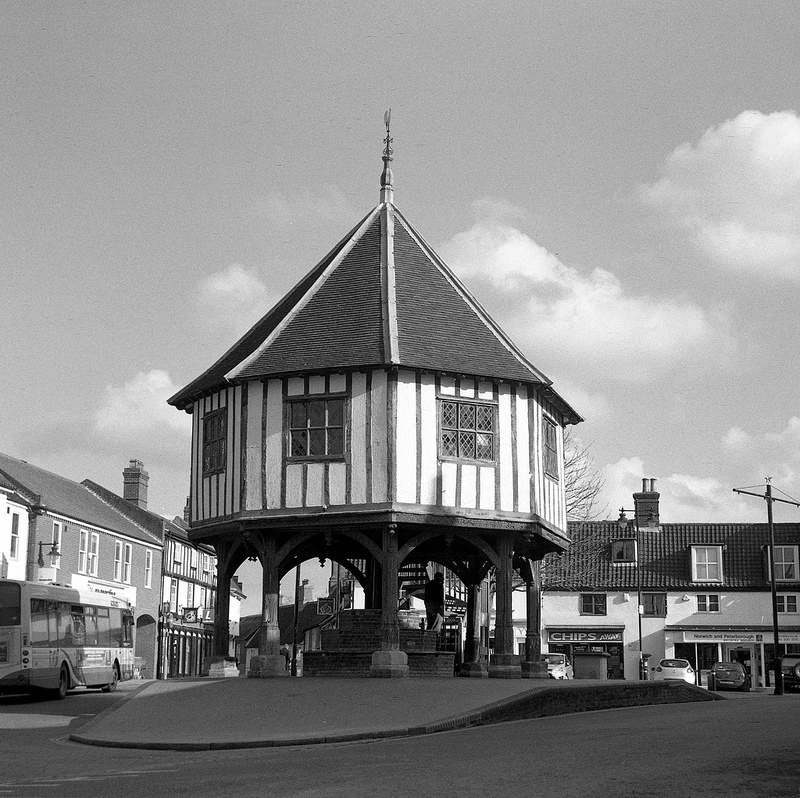 I will say that during the late 17th Century (1670's - 1701), there were Blasey, Quantrill, Moore, and Page families in Wymondham. That might suggest that we have some pretty old Wymondham ancestry on mother's side of the tree. Some of father's were not far off either, with some of his ancestors in nearby Attleborough, Coston, Great Hockham, Swanton Morley, and East Dereham. I'm really pleased to find this breakthrough, the second in recent weeks, even after 29 years of researching family history. 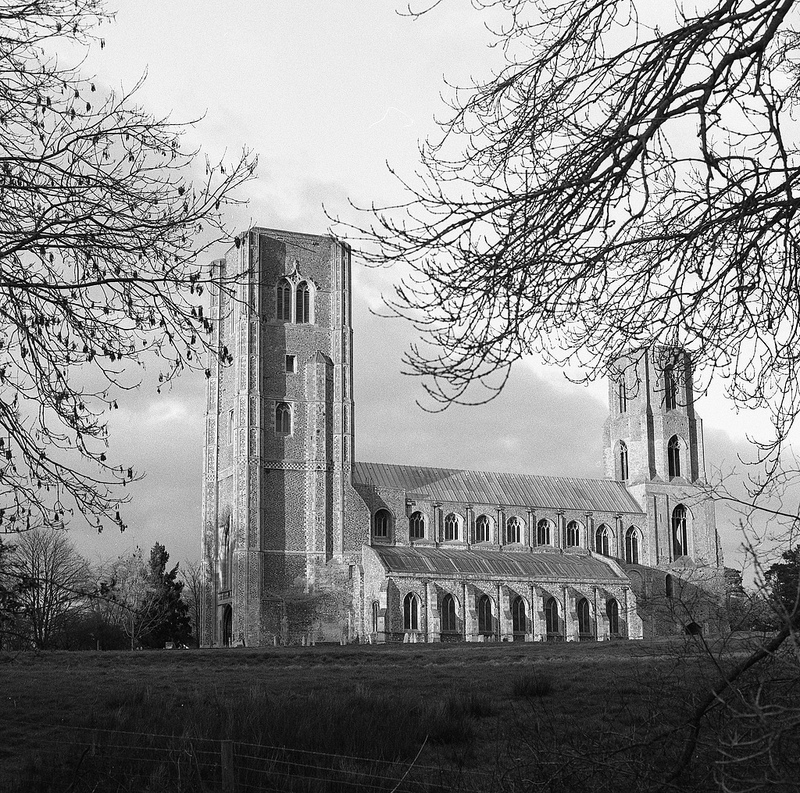 It's also great to find such a strong ancestral link to a Norfolk market-town that I especially love.